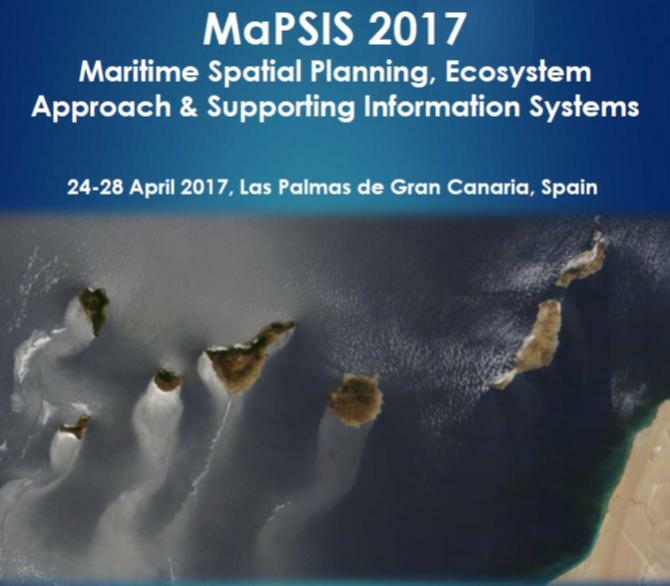 Join EcoAqua MaPSIS conference from 24th to 28th of April, 2017 in Las Palmas de Gran Canaria, Spain, and contribute with your experience and knowledge on Maritime spatial planning, Blue Growth, Environmental planning, Biodiversity preservation and Supporting information systems. This meeting is intended to bring together professionals, Policy & Decision makers, researchers and other stakeholders to discuss issues, methodologies, best practices and finally integrate maritime issues within environmental planning using open data Infrastructures. Authors of accepted abstract will be invited to submit an original research paper in a special issue of the Elsevier Journal Ocean & Coastal Management.